No one would understand how much I hated vegetables and fruits growing up….they were my arch-enemies! I associated the name ‘Salad’ with these enemies and it was war till the struggle to keep fit pressured me into making them my friends. These days, I crave greens the same way I crave sweets, I go to restaurants and I look through the Salad menu. Today, I would be sharing with you 2 home-made salads and 2 salads from restaurants that I absolutely love! The size of this dish scared me at first, thought it was a lot but I dug in and could not stop till my plate was clean. 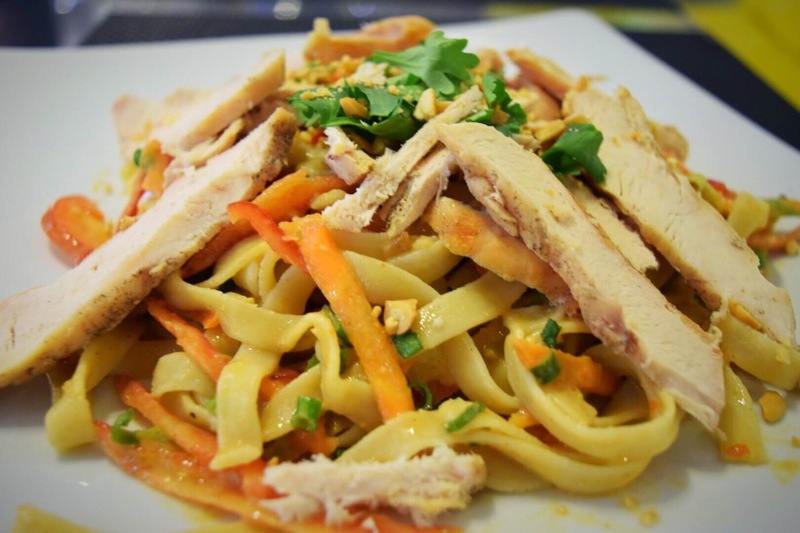 I love pasta and I love chicken, marrying both in each fork full was pure bliss…. 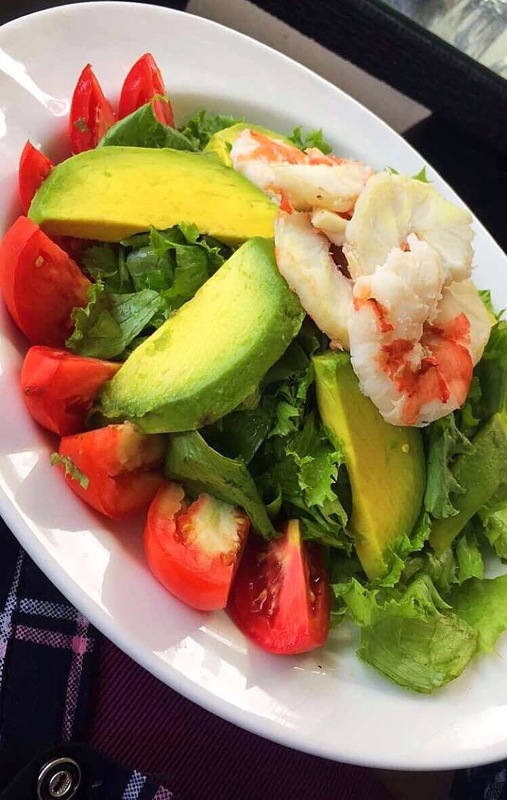 I love the freshness of this salad….you would never catch me eating fresh tomatoes alone but on this day, I am not sure if it was the shrimps or avocados that made the difference. The mashup in my mouth felt GOOD!